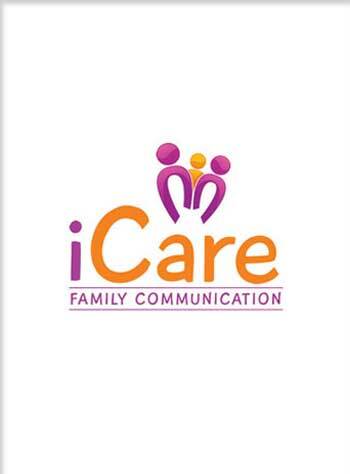 iCare has been custom designed by Lullaboo to benefit both parents and staff members. 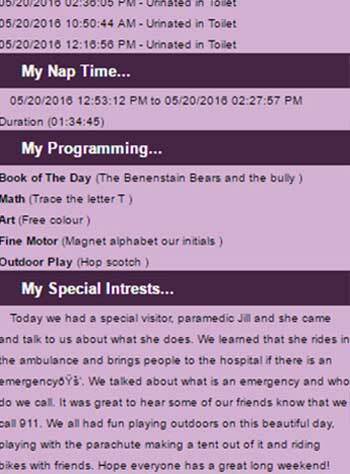 This software allows parents to receive accurate and detailed information regarding their child’s day at Lullaboo. iCare provides parents with information on daily routines, such as; diaper changes, details about what and how your child ate, sleep times, activities conducted throughout the day, pictures and if anything is needed to be brought in the next day. iCare also allows for our educators to ensure compliance with all regulatory requirements (Ministry of Education, Regional Health, etc..). One single record is used to communicate with you, the parent and maintain compliance, ultimately providing more time for the teacher to spend with the children and allowing them to be completely paperless and environmentally friendly.